The OXO Tower is an instantly recognisable landmark in London’s skyline, making it an iconic place to dine in. With views out across to the Southbank, this is a gorgeous place to dine in at any time of day. As during the day the light floods in through the gigantic glass walls and in the evening they provide an outstanding view across the river. The restaurant serves modern British food for lunch, dinner and afternoon tea too. We dined here for dinner and opted for Bookatable’s set menu deal, which offered three courses and a glass of champagne for an amazing £39. Oxo Tower restaurant allows diners to sample some of the best of seasonal British produce, which can be seen throughout the menu. 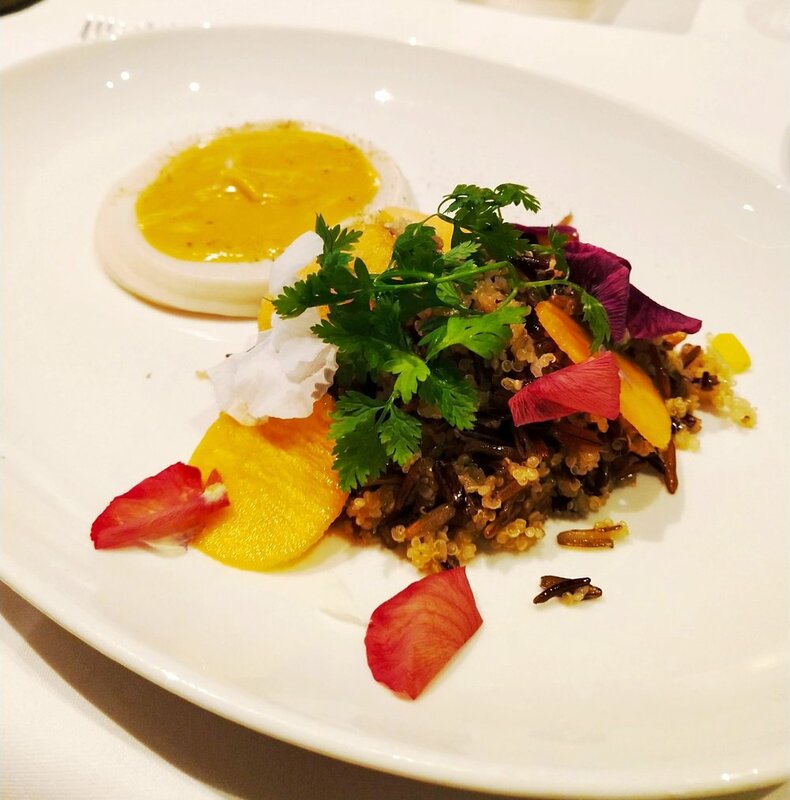 We started off with wild rice and quinoa salad, which was served with a delicious coconut and carrot sauce. We also tried a delicious roasted partridge tart which was very well cooked. 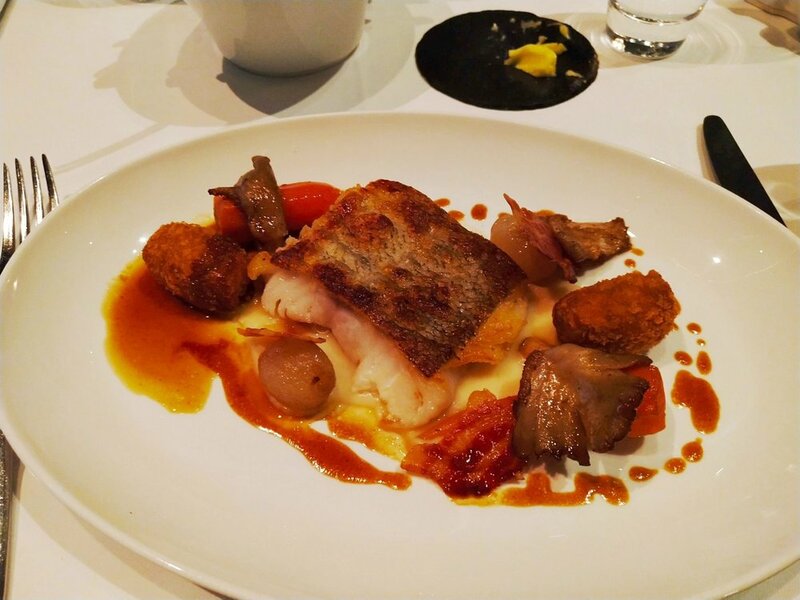 For our main course we tried the pave steak with braised ox cheek and I ordered the roasted cod served with carrots, mushrooms celeriac and white bean puree. Both dishes were very enjoyable and well presented. They were also good portion sizes which can often not be the case with set menus. For our dessert we tried a beautiful dark chocolate and fig tart with creme fraiche which was a delectable dessert. We also ordered the honey cheesecake with grapefruit sorbet which was a delicious combination and made for a refreshing dessert. 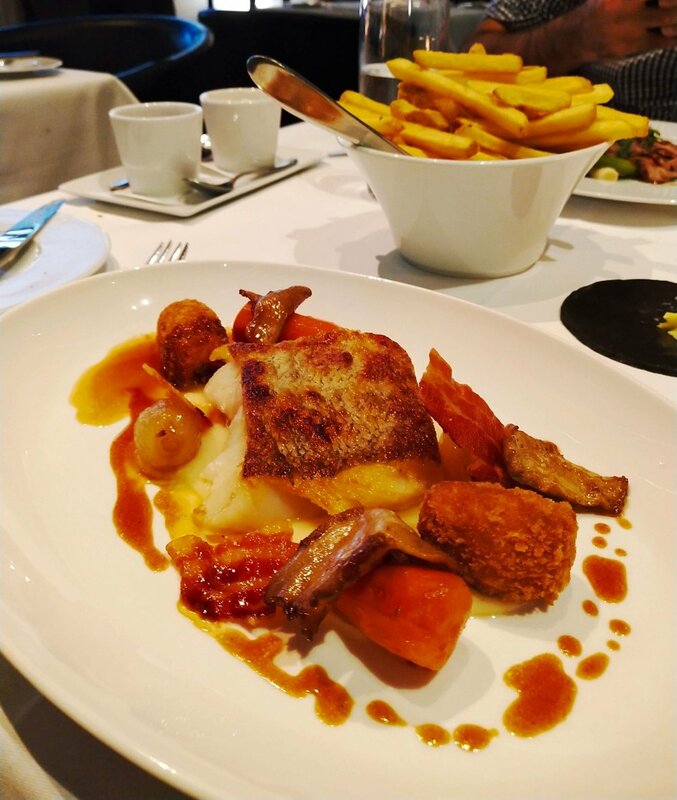 Oxo Tower restaurant is a high end restaurant, and when dining here with one of Bookatable’s deals, it makes it a worthwhile experience. 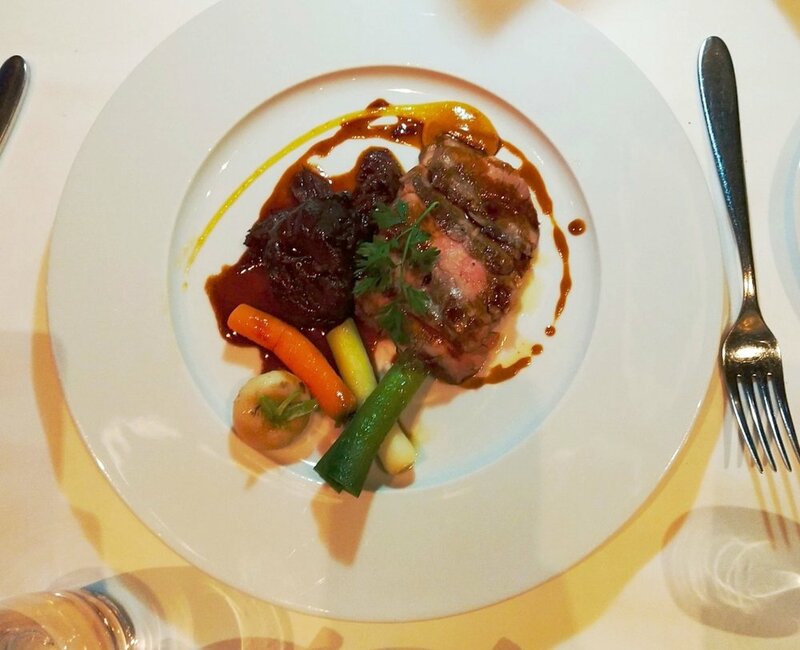 We had a three course meal with a glass of Champagne for £39 which is great value for money! Find other venues which offer free Champagne with Bookatable! Oxo Tower Restaurant is an ideal venue for any occasion. The iconic views and luxury feel to the restaurant make it a enjoying place to dine in. I’d happily book a table at Oxo Tower for celebrate any occasion.